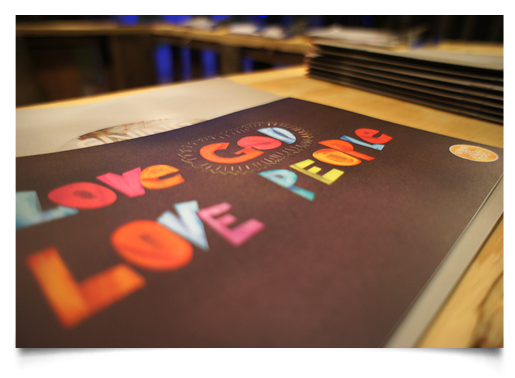 This week, church had its annual missions expo, Giving Life Away. Being a designer, I enjoyed the graphics and display details very much and I wanted to share a few of my photos of them with you. I also included captions and links to some of the ministries that were on display for those who may be interested in additional info. (Above) A vibrant blue light shines down on a large curtain made of plastic water bottles. 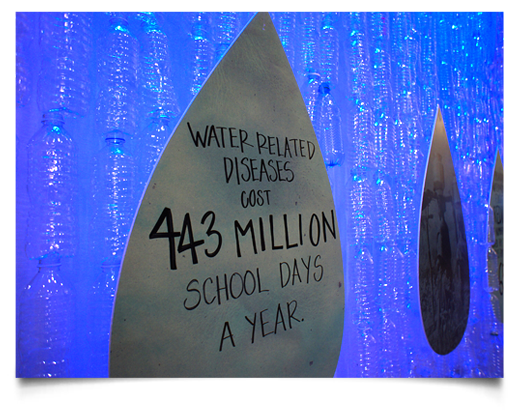 In front of the water bottle curtain were water-shaped boards with facts and photos supporting the cause of Living Water International. 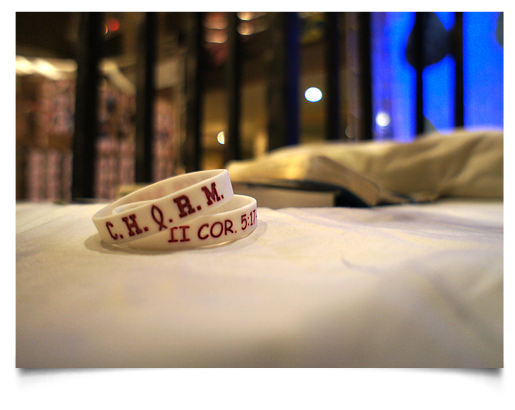 (Above) CHARM is a ministry to those in prison. 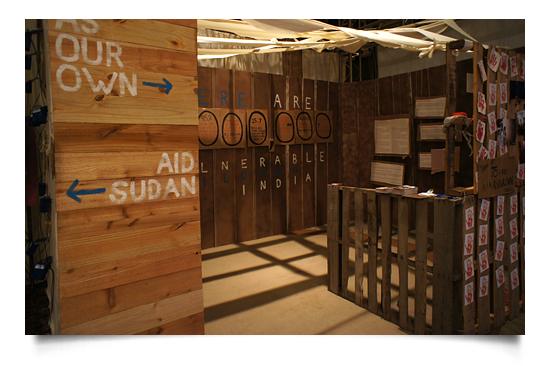 (Above) Talk bubbles of scripture passages illustrate part of the Aid Sudan ministry which, among many things, helps in supplying Sudanese with radios that play the Gospel and are shared among communities. 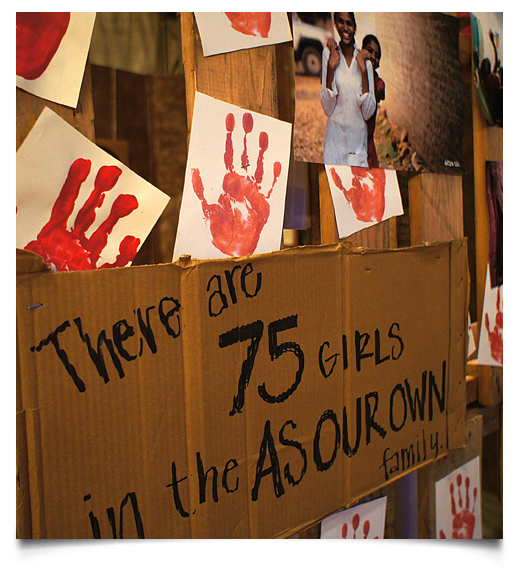 (Above two photos) Photos and facts from the As Our Own ministry that serves in India to rescue girls from enslavement. As Our Own provides the girls with a safe and loving environment and the Word of God. 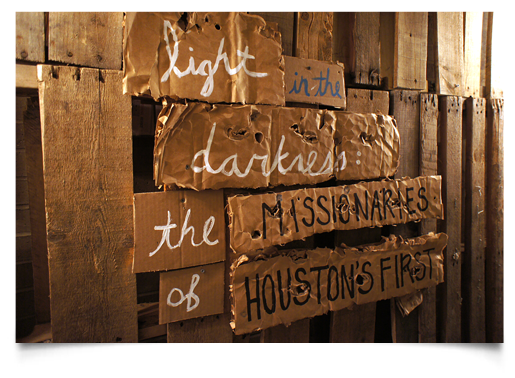 (Above three photos) Stories, prayer and photos from past missionaries spread across a wall and are back lit to give the illusion of lights in the darkness. 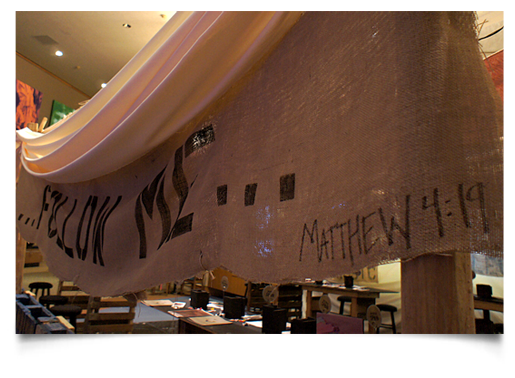 Burlap and other earth-tone fabrics draped across booth tops. 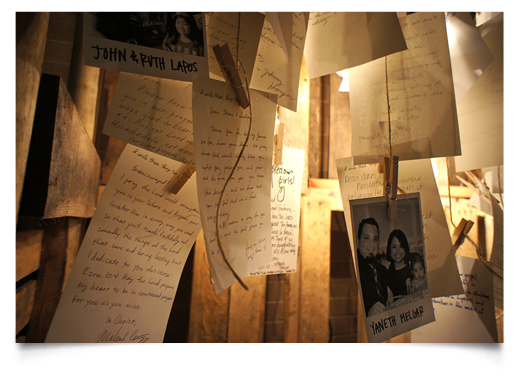 That, along with the wide use of wood, lighting and other recycled materials brought a warm invitation to the displays. I must say, this was not at all what I was expecting to see at a missions expo.